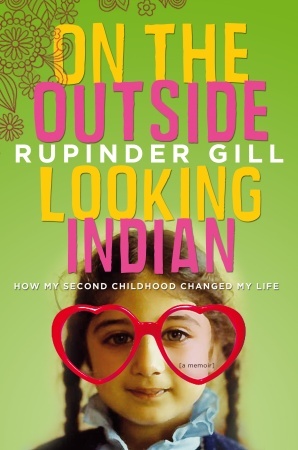 Indo-Canadian humorist writer Rupinder Gill's debut book, On the Outside Looking Indian, is a light-hearted and often self-deprecating memoir that weaves anecdotes of her unique childhood experiences into her present-day efforts to recreate a more conventional adolescence. 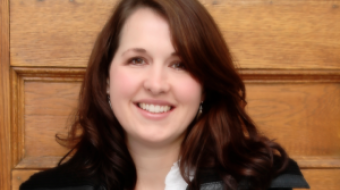 Gill grew up in a predominately white area in Kitchener, Ontario, 15 minutes away from Toronto. 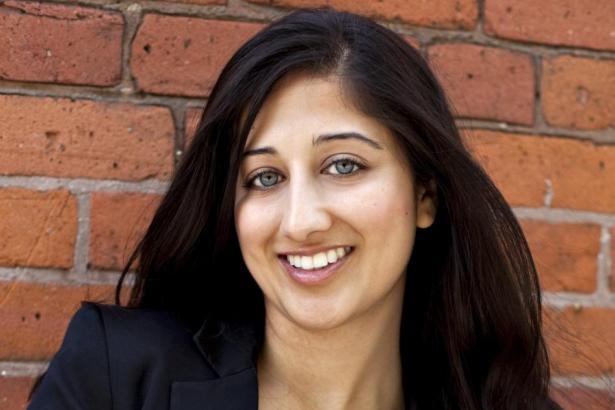 “It shaped my experiences because I had no other Indian friends or point of reference. All of my friends were white so I was always comparing my life to theirs, and theirs were so completely different than mine,” she said. Gill grew up yearning to attend sleepovers, take music and dance lessons, and go to summer camp. To fill her days, she'd "cook, clean, babysit, clean, get good grades, clean, be silent, clean, and [not] challenge [her] parents in any way." Gill wanted to share the same experiences as most of her classmates, whether it was playing the oboe or taking dance lessons. Squeaky instruments and clumsy kids in tutus was something her parents wouldn't consider. Her only goal was not to stick out from her school peers. It's hard to believe the strikingly beautiful Gill could ever have felt like an outsider, especially because she graduated class valedictorian and was nominated "most likely to become a stand-up comedian" and "most likely to have their own TV show" in her high school yearbook. Gill's childhood love for television was only matched by her appetite for junk food. With each of her four siblings making quick runs to the nearby convenience store during commercial breaks, snacks were divided by a socialist code: “everyone had an equal opportunity in our quest to raise the national childhood obesity numbers,” Gill writes. "This is not at all a complaint about my childhood," she says. "I respect my parents and all the sacrifices they had to make for us. As a kid you're just motivated by desire and you don't price out the cost of everything you want to do." At 30, Gill sat on the sidelines at her friend's cottage watching her friends splash around in the water. “Everyone was swimming and I still could not swim. I thought, enough is enough,” she said. Tired of sunbathing on the dock, Gill set out to accomplish lost childhood experiences. "It was that year I just thought if I don't do it this year, another year will go by and I'll feel the same way," she said. Gill started out with slow with achievable goals like tap dance lessons and a slumber party with her 30-something friends, often with humorous results and the realization that some things just can't be recreated. The reality of Gill's desired sleep-over junk food marathon with dance parties and prank phone calls turned out to be organic, vegan take-out with everyone in their own bed by the end of the night. A second childhood drastically changed Gill's life, however. By accomplishing small feats like tap and tennis lessons, swimming, and volunteering at a summer camp, she built the courage to face larger goals and make life-changing decisions. "Doing all these things that I didn't think I would ever do made me take a bigger look at my life. Now maybe it's time to look at where my life presently is and ask if this is what I actually want," she said. It's Gill's comedic insights and observations that make this book an engaging read. 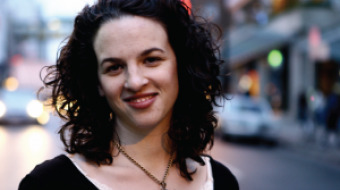 Since writing On the Outside Looking Indian, she's contributed humor writing to McSweeney's website, CBC Radio, and This Hour Has 22 Minutes. "Maybe all of this TV I was watching as a kid was a great thing because that is actually what I want I want a career in," she said. Readers can also expect a follow-up memoir to the very funny On the Outside Looking Indian, she said.